Show your sense of style the moment you show up rocking this handsome paisley tie out of BlackBird's new cotton print collection. 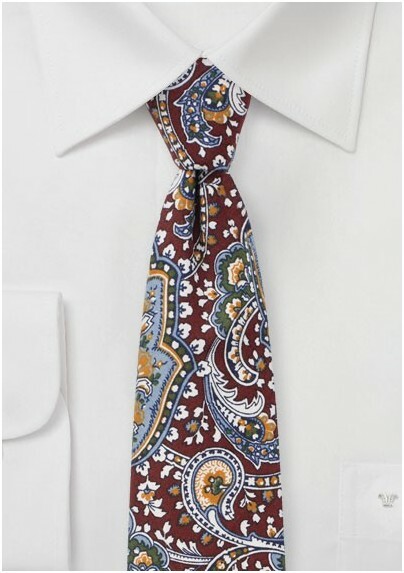 Crafted from finest cotton and cut with a narrow width of 2.75 inches, this tie is perfect for Summer - especially when paired with fitted suits that have modern narrow lapels. 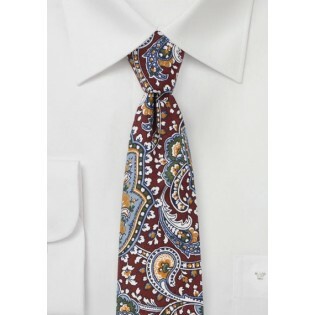 This paisley design is also available in dark navy with green as well as olive green with tan.